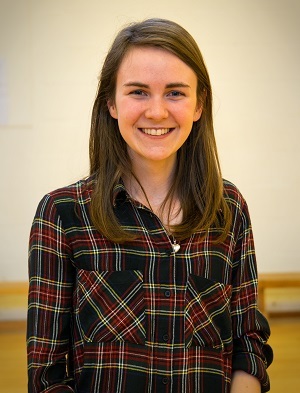 My name is Katie and I came to Liverpool in September 2015 to study medicine at the University of Liverpool. I had come to visit Belvidere Road Church in the summer before, as a friend had recommended it to me, and I felt immediately welcome. After the service, no-end of people came to say hello and took an interest in what I was studying and what I enjoyed doing. What immediately struck me about the church was how active they are in reaching the community in their weekly meetings but also the love they show to one another. Between services, a lovely couple from the church invited my family and me (and a number of other young people and families) to their home for dinner to allow me to really get to know people. I found this so helpful as it really reassured me that, when I would come to study after the summer, there would be somewhere I could go where people would genuinely look after me – and I am sure my parents were comforted by this too! Now I have been going to the church for almost 2 years and, I must admit, it has been the best part about uni-life. I love the studying and the friends I have made at university but there is nothing I look forward to more than the time I spend with the church here. There is so much to get involved with at Belvidere and it really has become such a family to me and, more than anything, the church has helped me to keep focused on the things of Christ whilst here at university, which I will always be thankful for. P.s. my top 3 non-weekly activities (which are not-to-miss) have to be; the summer Holiday Bible Club, Listen Liverpool open-air outreaches and, of course, the church’s annual weekend away together in Wales!